Convenient complimentary valet parking available at Crystals at CityCenter. From Las Vegas Blvd., turn onto City Center Place. Follow signs indicating Crystals/Veer Towers; underground. Crystals at CityCenter direct line: 702.590.9224. Recognized for award-winning Steakhouses and Ocean Club Seafood locations in Southern California and Arizona, Mastro's Restaurants makes its Las Vegas debut with the opening of Mastro’s Ocean Club in Crystals at CityCenter. A combination of world-class service, live entertainment and cuisine such as the illustrious three-tiered iced Seafood Tower, bone-in filet, lobster mashed potatoes and a one-of-kind warm butter cake, is served in an elegant and energetic atmosphere. Guests enter the restaurant through an elegant portal of wood-lined lowered ceilings and meandering walls, and are presented with a myriad of dining options. The expansive interior of an 80-foot-tall sculptural Tree House encompasses Mastro’s main dining room. On the dining terrace, Mastro’s offers views of the angular shapes, towering ceilings and unique artistic elements of Crystals. Everything was excellent! Exactly what you expect! Well done. They pretty much nailed it!! The steak was probably one of the best steaks we have eaten, which is no small feat as we live in an area that considers itself the beef capital of North America. The staff are super attentive, kind of funny that the waiter tried to upsell every table adjacent to us with the same "try the special 18oz bone in filet", no takers that we heard we went for the smaller size filets and they were PERFECT. The cook on the steaks and the seasoning could not have been better, we shared a side (more than big enough for two) and finished with the world famous butter cake; which was just ok (kind of grainy and dense). Ambience; the only negative is we had a table by the main wait station so that was a drag. We love good Napa wine and at Mastro's you can bring a bottle of your own, so we brought a big bold killer Cab Sav and they happily decanted it and made sure our glasses always had constant small pour. $35 corkage and you save a ton of money. Go, enjoy. Get food and drinks. Service was excellent. Would definetly be back again. Overall I'd have to say this was a disappointment. Have always wanted to try this place and finally pulled the trigger. Wish we'd have just left it as a fantasy place. Server was very good, had great knowledge of the menu and made suggestions. Starters were all great. Lobster Bisque was outstanding as was the foie gras and the mussels. My wife had a sushi roll as her entree and it was really sad. Bland, unappealing... Just boring all around. I opted for swordfish and it was ridiculously dry, I mentioned it, only ate half of it but got to pay for it just the same. Gnocchi with lobster and black truffle was pretty outstanding, too. Beware, it's easily enough for 4 people. Drinks are very good but the prices are pretty out of line. Overall, I'd go back for apps and cocktails but would pass on a dinner. Always an amazing time at Mastro’s. The wait staffs attention is above and beyond. The food was amazing and prepared perfectly. Highly recommend! The attention to detail and the food quality were amazing. 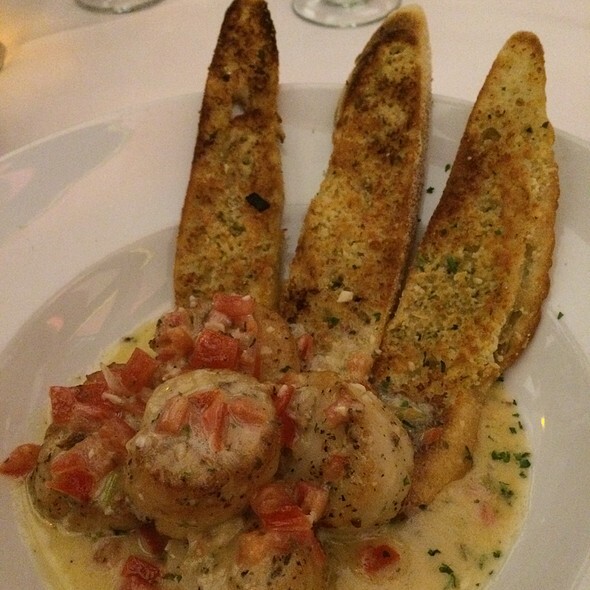 Reviews raved about the seafood preparation. 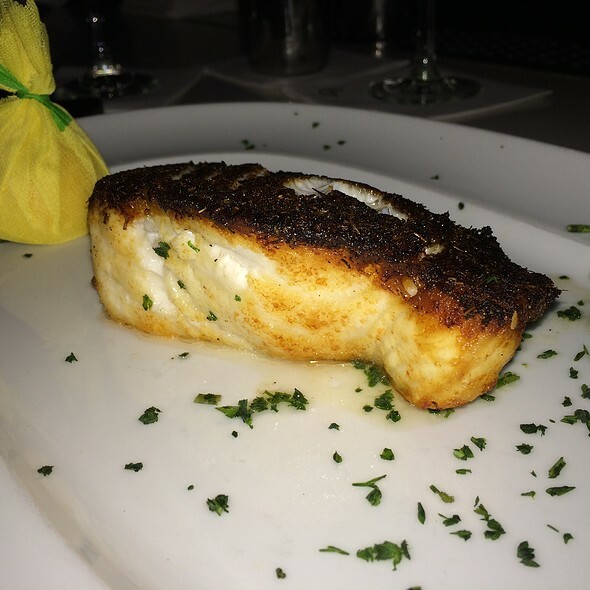 My halibut recommended by waiter was extremely over cooked and was so disappointing. It was dry and served only with tartar sauce. 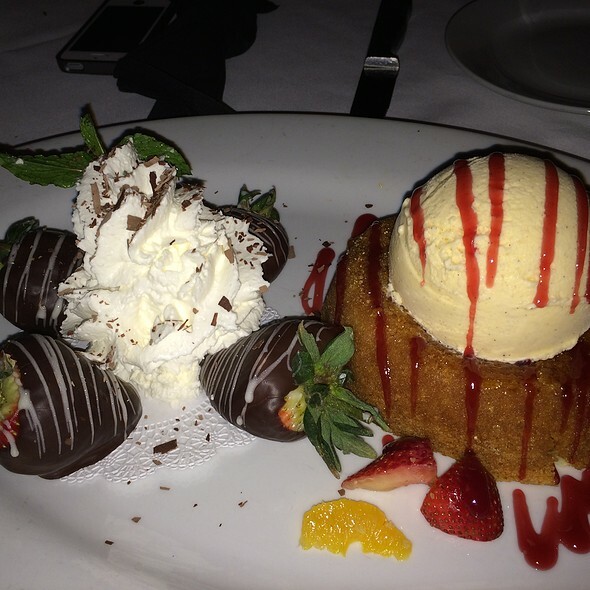 Luckily the butter cake did not disappoint. Have eaten here several times and the service and staff never disappoint me or anyone I am with. 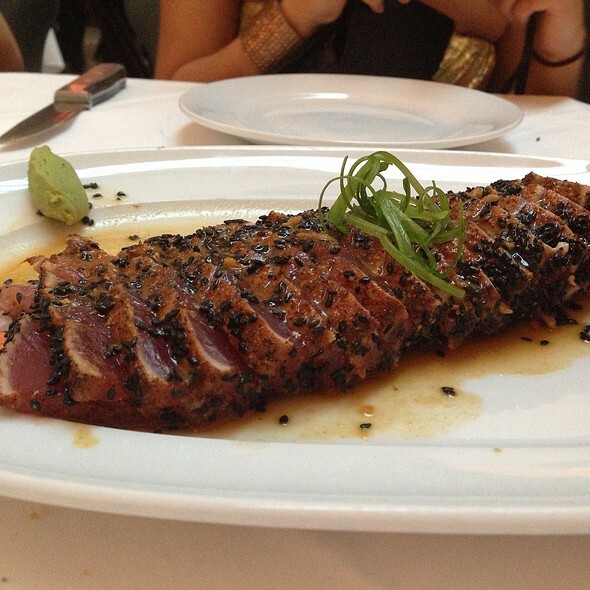 We absolutely LOVE eating at the Ocean Club. It's a must if we visit Vegas or Scottsdale. I like to start out my meal with a Cosmo, we then move on the Seafood Tower with our most favorite being the Dungeness Crab and finish it off with the Signature Warm Butter Cake. You might ask why we don't eat any steak. 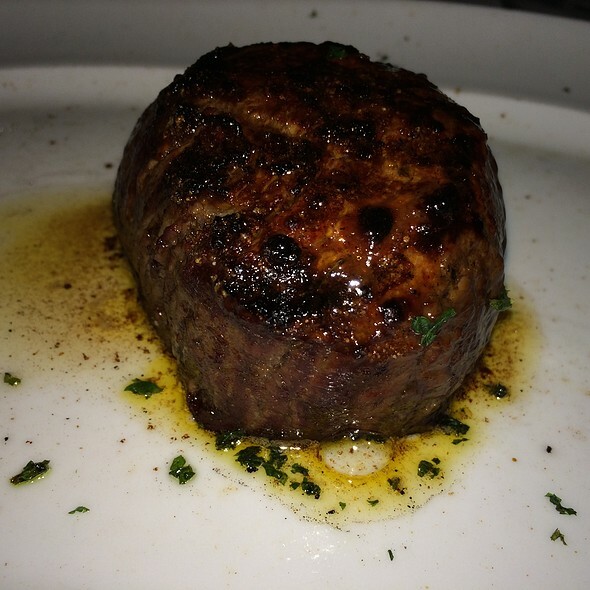 Well we actually love the steak as the filet will melt in your mouth. We just absolutely LOVE the Seafood Tower and no one else can close to making anything like it. Thanks for another AMAZING night! Excellent Service and Excellent Food. Wonderful Staff and Great Atmosphere and Great Attitude. Best dining experience I have had anywhere in Las Vegas (or perhaps anywhere). The food (all of it) was outstanding. Presentation and service outstanding. Bang for the buck...outstanding. We did not order the seafood tower but saw it at table next to us....wow is all I can say. Wife's lemon drop martini bubbling for 10 min straight ... very cool... Will be coming back. Great!! I like it. I had butter cake at the end. 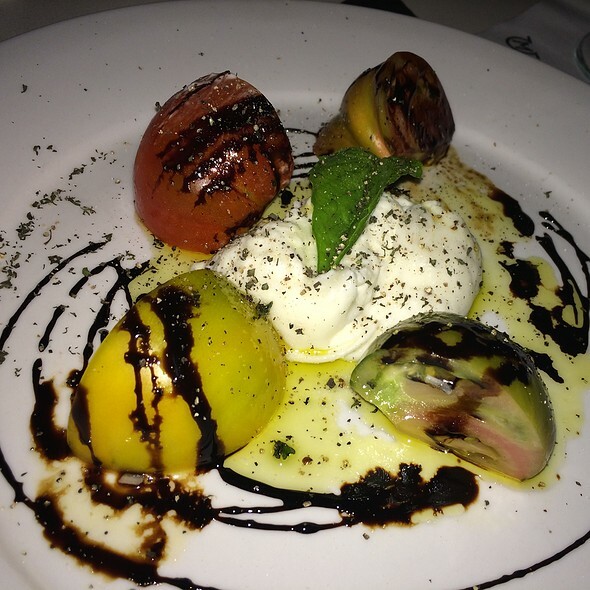 We have dined at several Mastro’s in Chicago Scottsdale and nyc.. It is by far our favorite restaurant for steak. We decided to try the one in Vegas. Honestly it was good but the location was just boring. This one is in the mall and it wasn’t busy at ALL. Maybe it gets busier later in the evening but we left around 930 and it was still empty for a Thursday night. The steak was great but some of the other locations we have tried were better. The jalapeño sashimi was excellent as well as the lobster mashed! I guess if you want a quiet nice expensive place near the strip this would work for you. The other locations give a way better ambiance and have live music so I guess that’s what I was expecting especially in Vegas! A bunch of friends went to Las Vegas to celebrate our neighbour’s eightieth birthday. This place was fantastic. I’ve eaten at a lot of steak houses over the years, but this place was over the top. The best I’ve ever had. But it doesn’t end there. Their seafood is to die for, and their service and ambience unmatched. Food was great. Tim our server was great. Treatment by the bartender was HORRENDOUS. The manager came and comped my drink because of it. We went to celebrate my friend’s 48th Birthday! She had a great time! 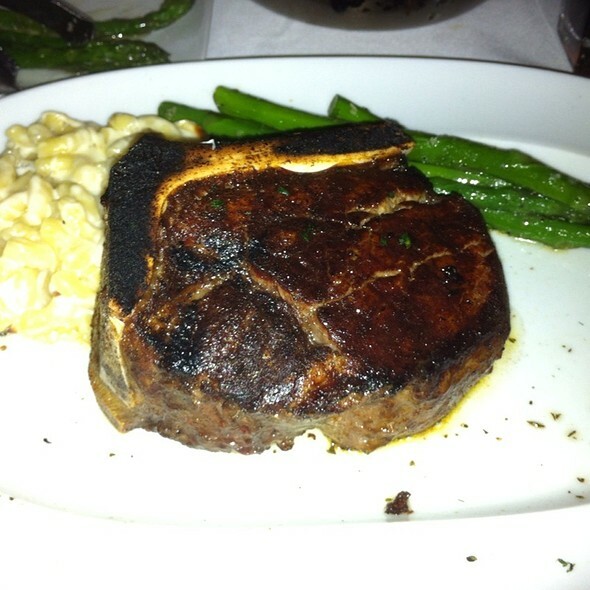 Our steaks were cooked to perfection and our drinks were excellent! Every time we go to Vegas we make this one of our stops. Love the ambiance of the “birdcage”. Food is great but you can fill up on breadbasket if you don’t watch out. This is the second time we’ve had dinner at Mastro’s Ocean Club and will probably continue to do so each time we visit Las Vegas. You get a lot of food for the money (in my opinion, especially since we couldn’t finish everything) and the service is beyond reproach. It was kind of noisy, but only because a table of 6 very talkative people were seated next to us. Other than that, it was a special night out and we look forward to going back soon. 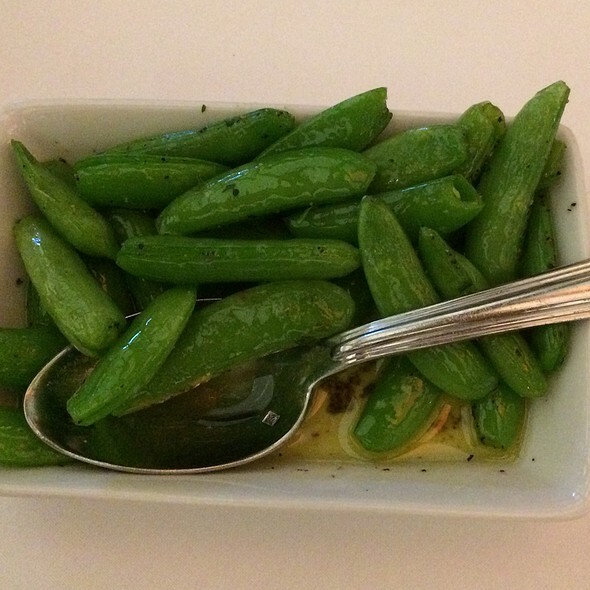 Amazing food and great service! Best steak house around. Very overrated for the price. Room was very noisy and we couldn't carry on our conversations at a normal speaking level. Very disappointing. Everything was great. That made our first anniversary special with complimentary dessert. Great atmosphere and great servers. Had a great time and would come back. We were a party of 4 with a 7pm reservation. We arrived at 7 and were told our table wasn’t ready and asked to wait. The bar was crowded so we ended up standing near the entrance in the hallway of the mall. We were seated around 7:15 and eventually were asked for drink orders, which arrived around 7:35. So we got off to a poor start. However, the food was outstanding. In our group we had oysters, crab cakes, shrimp and 4 different kinds of fish and enjoyed them all. The cocktails were well made and old school (large) and there was a very nice (and pricy) wine list. Given all the options in Las Vegas, I don’t think I would rush back again. Awesome, def a place to go and have great time! The Seafood tower was amazing and the wine selection/prices were actually really reasonable. 1st time. Very nice staff. Great experience overall. 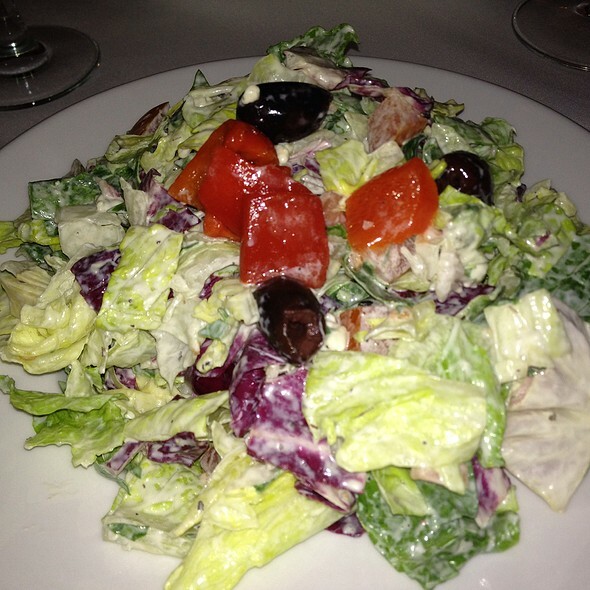 Mastro’s is consistently great, I make a point to eat there each time I come to Las Vegas for work and leisure.